Tim Llewellyn and his team at Copper Hound Pictures is proud to have been selected by Mass General Hospital and Anderson Digital 2020 to create a series of still images and videos featuring the stories of real patients for the Transplant Center at MGH. Over a series of days, Tim captured interviews and b-roll of the patients in their homes and on location at MGH. The final edits give the viewer a front row seat as these patients recount their journeys and doctors explain the life-saving surgeries. Tim Llewellyn captures still photography and video for clients in the healthcare and biotech industries, as well as general portraiture and lifestyle imagery. He has worked in Boston, New York, Seattle, Los Angeles, San Francisco, Costa Rica and Paris, among others. A peek behind the scenes with David, Tim and team. Colorful barbacoa tacos photographed by Boston based food photographer Emily Kan, for the latest cover of the Improper Bostonian. Check out their website for more and next time you're in town, head straight to El Centro restaurant. Travel photography is the dream job. Who doesn't want to get paid to travel the world and take photos? In her recent TEDx talk, travel and lifestyle photographer Susan Seubert explains what it's like to be a part of this "DIY" career, and how it is different than people might think. Scroll down to see the talk and visit Susan's blog to hear more about what's it's like to be on that famous stage! Another beautiful campaign from product photographer, David Butler, for Tide. You can see these on tide.com and in retail outlets, nationwide. Visit David's website for more samples of his product, liquids and cosmetics photography. A peek behind the scenes on set with David Butler for Tide. A peek behind the scenes at our holiday shoot with food and lifestyle photographer Emily Kan, captured by Tim Llewellyn/Copper Hound Pictures. Image by Food and Lifestyle Photographer Emily Kan. Styled by Kaylei McGaw/Anchor Artists. We're so thankful for all that 2017 offered us. Photographers Tim Llewellyn and Emily Kan joined our roster and we're proud to now offer healthcare, lifestyle and food imagery as well as product, beauty, liquids and travel in still and in motion. We had shoots firing nearly every day, this year, working for both repeat and new clients including Tide, Keurig, Twisted Tea, Boston Scientific, Skin Better, Liberty Mutual, National Geographic, Travel Oregon and more. We delivered files on time and on budget AND had fun doing it, thanks to the artists and our incredible crews. So many thanks to the digi techs, assistants, producers, production assistants and stylists we worked with throughout the year. So, cheers to 2017! We can't wait to see what 2018 has in store. 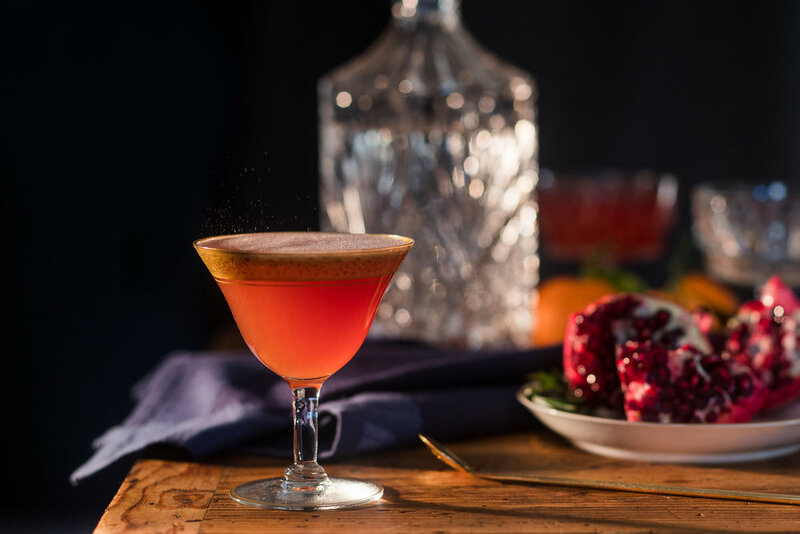 We'll be ringing in the new year with this delicious pomegranate martini! Here's how you can make one. Shake, strain and pour into martini glass. 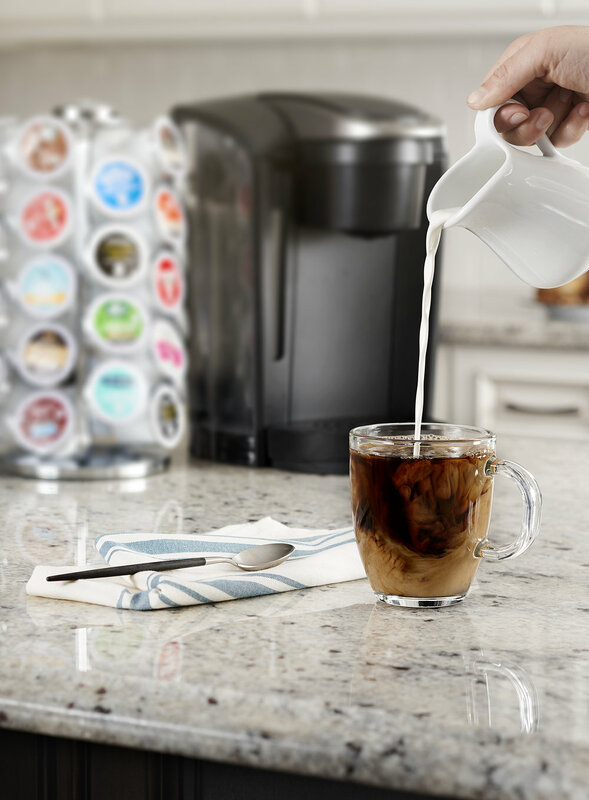 In August, Keurig tapped product and liquids photographer David Butler to capture all new imagery for their packaging (releasing soon!) and more recently David captured lifestyle images of their product, in situation. I won't admit just how many cups of coffee our crew consumed during the 6 days of shooting... I will say we were full of energy when Boston's Channel 5 joined us on set to capture David in action. You can see one of the final images, below, and also a link to view the video featuring David! Boston based healthcare photographer, Tim Llewellyn, and his production company, Copper Hound Pictures, recently traveled to Casta Rica to capture still and video imagery for Precision Coating. Tim and the team interviewed over a dozen individuals and shot extensive b-roll in both Precision Coating’s Hudson, MA facility and their newly opened Alajuela, Costa Rica location. Videos highlight Precision Coatings’ compelling expansion story through the perspectives of employees, international consultants and business leaders, as well as photography that showcase their facilities and processes. 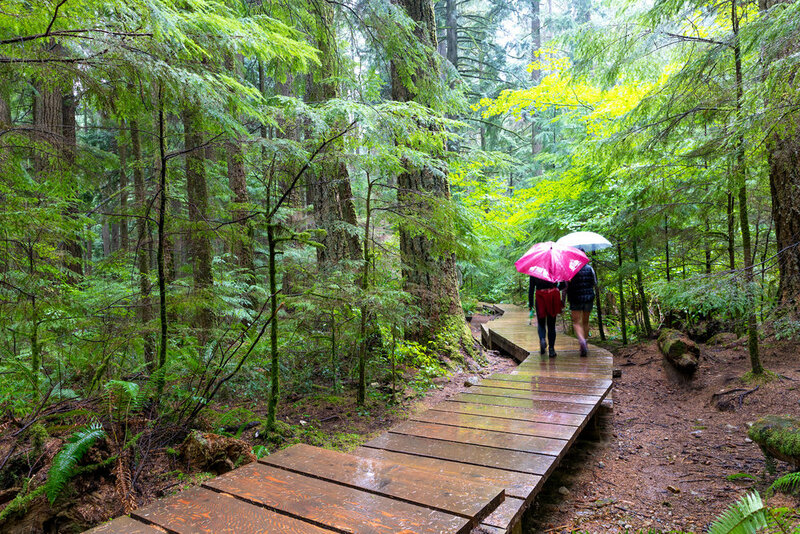 Travel and lifestyle photographer Susan Seubert recently captured the city of Vancouver, BC for Tourism Vancouver and NationalGeographic.com. Images illustrate the beautiful city and it’s proximity to nature, livability and global cuisine. Here is a sample of the library of images captured over five shoot days. 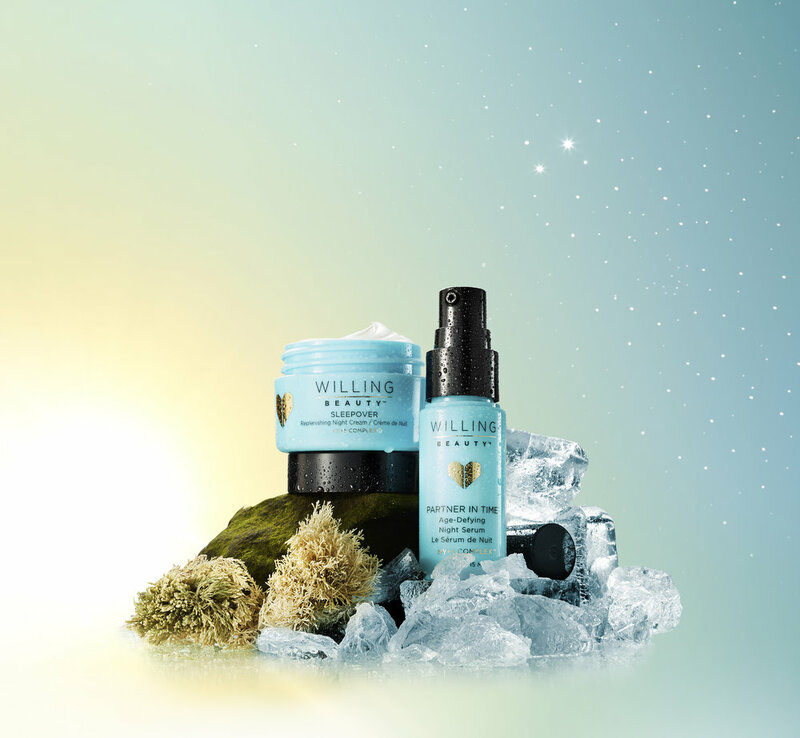 Willing Beauty tapped photographer David Butler to capture a fresh digital campaign. David's mastery with the camera as well as his digital artistry, combined with props flown in fresh from Arizona, helped to capture the 5 forces of nature that that are the essence of this product line. 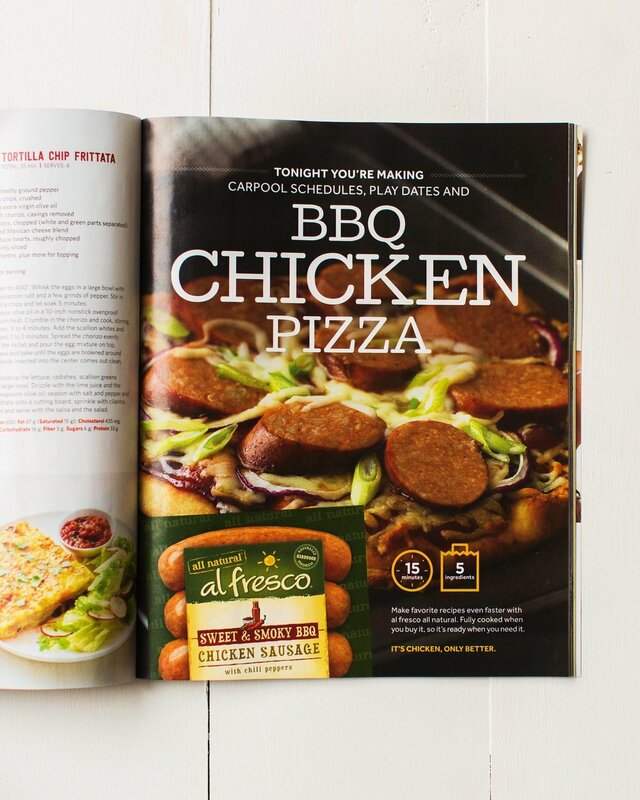 Boston based food photographer Emily Kan's recent work with Connelly Partners for their client al fresco has just released, full page in the October issue of Food Network magazine. Many thanks to our production team including food stylist Monica Mariano/Ennis, Inc., Prop Stylist Darcy Hammer/Anchor Artists, Digital Tech Jason Zucco and Assistant Daniel Tedeschi. Boston product photographer David Butler was recently tapped to capture a new line-up of skincare products for Willing Beauty Company. Billboard Magazine just wrote "Singer-songwriter Paula Cole has the sort of voice that is nearly impossible to forget. It is as if her crystalline sound and sweeping range somehow never ceases to leave you." We were thrilled when Grammy winner Paula Cole tapped photographer Tim Llewellyn and Copper Hound Pictures to capture portraits and performance videos to promote Paula's new Ballads album. You can read about the album on Billboard and on Huffington Post, both featuring Tim Llewellyn's portrait of Paula. Two of the videos, captured and edited by our team at Copper Hound Pictures, are shown below; turn your sound UP! So many thanks to Paula and team for bringing us in on this project. Some behind the scenes snaps from our shoot day at the stunning Shalin Liu Performance Center in Rockport, MA. The creative team at Connelly Partners tapped Boston based food photographer Emily Kan to capture a series of campaigns for their client al fresco. The first ad has just released, full page in the August issue of Real Simple magazine and we're thrilled to share it here. Many thanks to our production team including food stylist Monica Mariano/Ennis, Inc., Prop Stylist Darcy Hammer/Anchor Artists, Digital Tech Jason Zucco, Assistant Daniel Tedeschi and hand model Emily Huntoon/Model Club, Inc.
New work by Boston-based product photographer, David Butler, for client PING. The creative team at PING tapped David and his incredible attention to detail for this visually dramatic campaign featuring their G400 driver. Dramatic lighting highlights the product's key features and defines the true textures of the materials used. These images have rolled out online and will be in stores, nationwide, later this month. Here's a peek behind the scenes at David on set and working on the post. 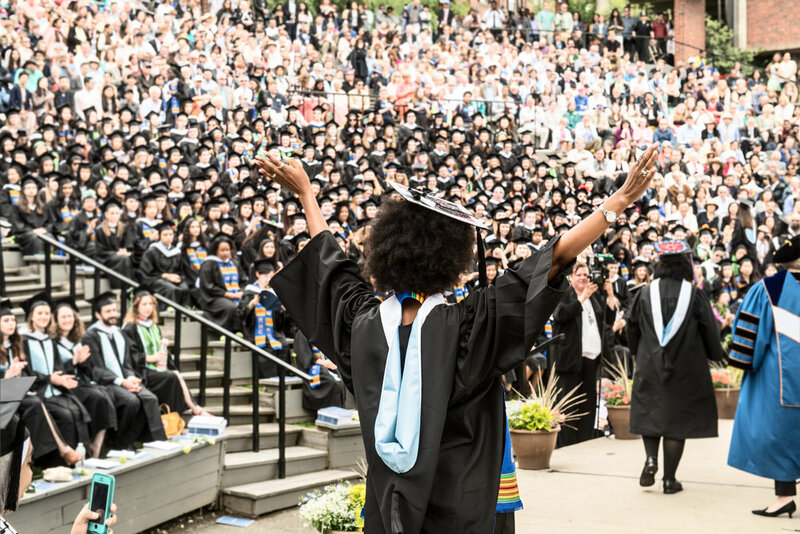 Photographer Tim Llewellyn recently captured lively portraits and candid lifestyle moments for client Mount Holyoke College. Images will be used on their website and in print collateral. You can see more of his healthcare and education focused lifestyle photography on his website here. Susan Seubert's fine art photography is on display, this month, at the prestigious Venice Biennale. The Biennale has, for over a century, been one of the most important cultural institutions in the world. CNN said "These shows -- taking over everything from pavilions, palazzos and churches to public squares and former factories -- dynamically alter their surroundings, while making potent statements about today's world and what it means to be an artist." It's an incredible honor for Susan's work to be included and we're all thrilled for her. GAA Foundation at the European Cultural Center has selected Portland photographer Susan Seubert for inclusion in “Personal Structures”, an exhibition on view at Palazzo Bembo, Venice, Italy, in concert with this year's Venice Biennale. Seubert will exhibit a recent body of work titled, "Not a Day Goes By: Asphyxiation Series." 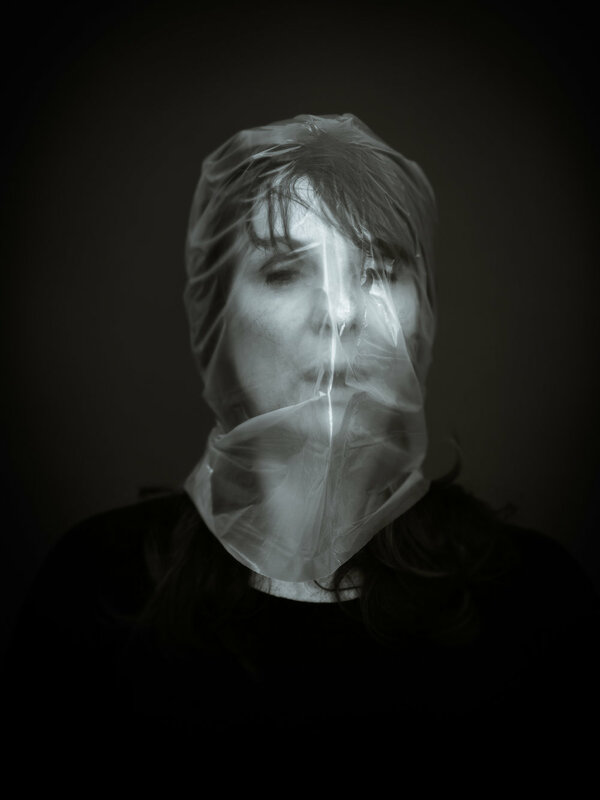 These photographic prints on metal surfaces meditate on a highly prevalent means of suicide in the United States: Self-asphyxiation using a plastic bag. All the more harrowing for their ordinariness and ready availability, Seubert placed plastic over the heads of her models (whom she crowdsourced via social media) and relied on each individual's instinctual posture to convey a face-on personal aspect to broader, tragic statistics. The results are ghostly, simply composed, eerily beautiful in their veiled view of the people underneath whose features are blurred, creased, partially obscured by the folds and light-glancing planes of the bag. Printed on reflective metal panels, Seubert invites the viewer to consider, through glimpses of their own face in the picture, our common humanness. She also draws parallels between these individual tragedies and the role of plastic in environmental ruination – the great Pacific Garbage Patch and other examples remind us that the Earth, in a very real way, is suffocating in plastic. An active fine art and photojournalist, exacting in her preparation and printing, she is a master of new and old techniques. Her provocative imagery has earned her critical acclaim with inclusion in Portland2012, a Biennial of Contemporary Art and in the Portland Art Museum's 1999 and 2001 Biennials. She was a finalist for the Contemporary Northwest Art Awards and received Gold in the category of Travel Magazine Photo Essay by the North American Travel Journalists Association. Her work is included in public and private collections including Microsoft Corporation; Museum of Fine Arts, Houston, TX; Portland Art Museum; Oregon Health Sciences University; Jordan Schnitzer Museum of Art, University of Oregon; the City of Seattle, WA; and the Tacoma Art Museum, WA. She holds a BFA in Photography from the Pacific Northwest College of Art, Portland, OR, 1992. The highly anticipated Kristen Kish Cooking is now available for pre-order and we can not wait to have it in our hands. The book includes Kristin Teig's elegant food and candid lifestyle imagery, complementing Kish's deliciously perfect recipes. Here's a peek at the cover!